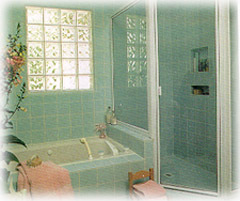 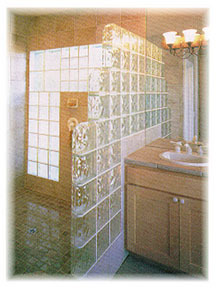 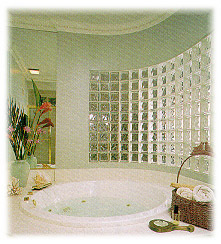 Glass Block and glamorous baths - one guarantees the other. 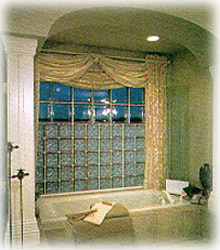 Glass Block from Pittsburgh Corning is at home in any bath decor, not just those with lots of angles and contemporary surfaces. 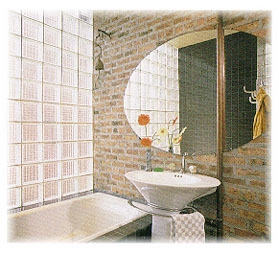 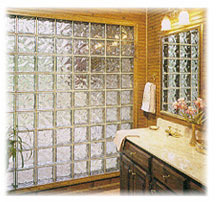 Click Here to see additional pictures of how glass block can be used to make your bathroom more functional, more beautiful and easier to maintain.